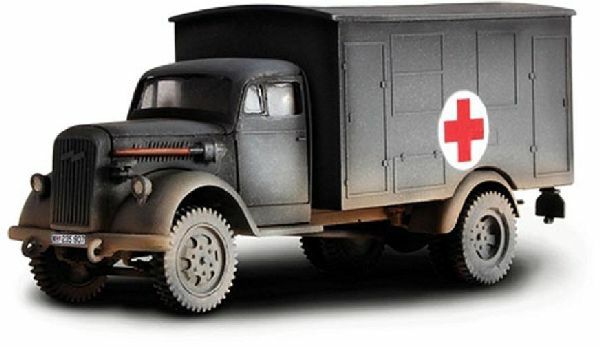 The legendary German 3 Ton Cargo Truck saw many uses in WWII. It was truly a multi-purpose workhorse. It was converted to function as a cargo vehicle, personnel transport and as an ambulance. Our replica is created in diecast metal and plastic. It features wheels that roll and detailed accessories.